Background/Purpose: Filgotinib (FIL), an oral, selective, Janus Kinase 1 (JAK1) inhibitor was effective in phase 2 studies of active RA in patients (pts) with insufficient response to MTX, warranting further evaluation in phase 3. Methods: In this global, phase 3 study (ClinicalTrials.gov Identifier: NCT02873936), pts with moderately-to-severely active RA and an inadequate response or intolerance to 1 or more prior biologic DMARDs (bDMARDs), were randomized 1:1:1 to once daily FIL 200 mg, 100 mg, or placebo (PBO) for 24 weeks; pts were required to continue stable conventional synthetic DMARDs. The primary endpoint was the proportion of subjects who achieved an ACR20 response at Week (Wk) 12. Results: Baseline characteristics of the 448 pts randomized and treated with the study drug (FIL 200 mg, n=147; FIL 100 mg, n=153; and PBO, n=148) included: 80.4% female; 23.4% ≥ 3 prior bDMARDs; 56 yrs mean age; 12.4 yrs RA disease duration; 27 of 68 tender joint count; 17 of 66 swollen joint count; and 5.9 DAS28(CRP). At Wk 12, an ACR20 response was achieved by more pts receiving FIL 200 mg or 100 mg than PBO (66.0, 57.5 and 31.1%, respectively; both p<0.001) (Table 1). The reduction from baseline in HAQ-Disability Index (HAQ-DI) at Wk 12 was greater in the FIL 200 mg and 100 mg groups compared to the PBO group (-0.55 and -0.48 vs -0.23, respectively; both p<0.001). Other key secondary endpoints, including SF-36 and FACIT-Fatigue, were also met at both FIL doses (Table 1). Adverse event (AE) rates were similar for FIL 200 mg, FIL 100 mg and PBO groups (69.4% and 63.4% vs 67.6%, respectively) as were rates of serious AEs (4.1%, 5.2% and 3.4%, respectively) (Table 2). There were 4 cases of uncomplicated herpes zoster (2 in each FIL group). There was one non-serious AE of retinal vein occlusion in the FIL 200 mg group; no other venous thrombotic events were reported. Two adjudicated MACE were reported: subarachnoid hemorrhage in the PBO group and myocardial ischemia in the FIL 100 mg group. There were no cases of opportunistic infection/active TB, malignancy, GI perforation or death. Conclusion: In this phase 3 study of pts with highly active RA and prior inadequate response/intolerance to bDMARDs, treatment with FIL over a 24-week period was associated with significant improvement in the signs and symptoms of RA, with a safety profile consistent with Phase 2 data. FIL may provide a novel treatment option for pts who continue to have active RA despite prior biologic therapies. This study was sponsored by Gilead Sciences, Inc.
Disclosure: M. C. Genovese, Gilead, 2, 5,Galapagos, 2, 5,AbbVie Inc., 2, 5,Lilly, 2, 5,Pfizer, Inc., 2, 5; K. C. Kalunian, Gilead, 2; D. Walker, None; J. E. Gottenberg, None; K. de Vlam, None; N. Mozaffarian, Gilead Sciences, 1, 3; B. Bartok, Gilead Sciences, 1, 3; F. Matzkies, Gilead Sciences, 1, 3; J. Gao, Gilead Sciences, 1, 3; Y. Guo, Gilead Sciences, 1, 3; C. Tasset, Galapagos NV, 1; J. S. Sundy, Gilead Sciences, 1, 3; T. Takeuchi, None. Genovese MC, Kalunian KC, Walker D, Gottenberg JE, de Vlam K, Mozaffarian N, Bartok B, Matzkies F, Gao J, Guo Y, Tasset C, Sundy JS, Takeuchi T. Safety and Efficacy of Filgotinib in a Phase 3 Trial of Patients with Active Rheumatoid Arthritis and Inadequate Response or Intolerance to Biologic Dmards [abstract]. Arthritis Rheumatol. 2018; 70 (suppl 10). 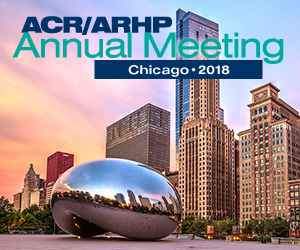 https://acrabstracts.org/abstract/safety-and-efficacy-of-filgotinib-in-a-phase-3-trial-of-patients-with-active-rheumatoid-arthritis-and-inadequate-response-or-intolerance-to-biologic-dmards/. Accessed April 20, 2019.